Oriental pattern silk pocket square in navy. Hand-printed with hand-rolled edges. 100% Macclesfield silk. 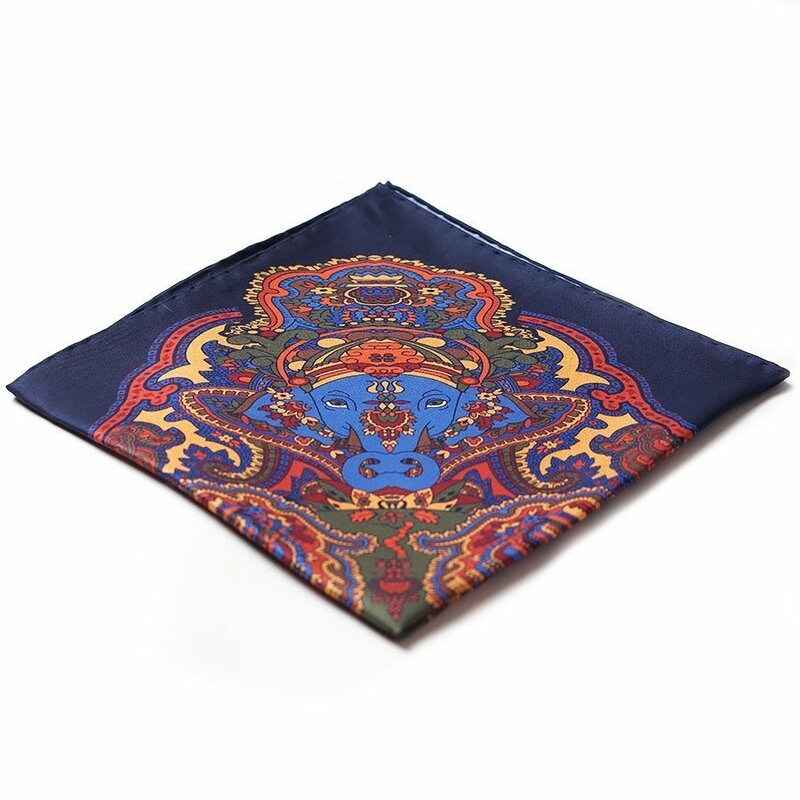 The silk is hand-printed in a small town in England, using a laborious printing process that has been unchanged for decades. No other printing method produces such deep and beautiful colors.